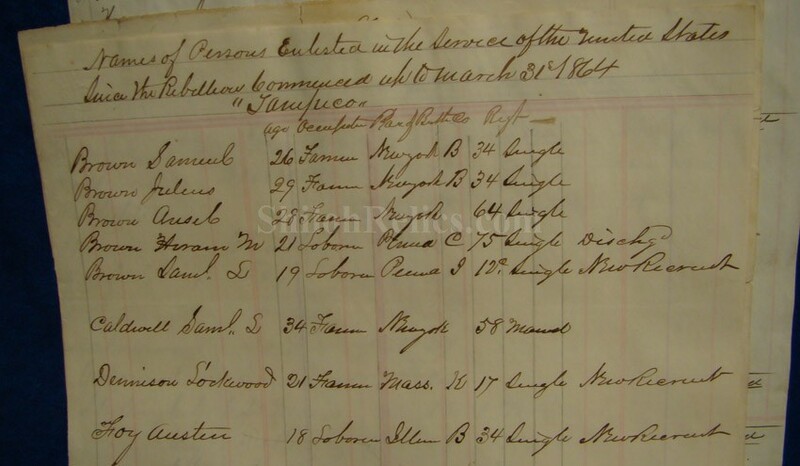 Here's a very interesting group of documents regarding the Civil War soldiers from Whiteside County in Illinois. 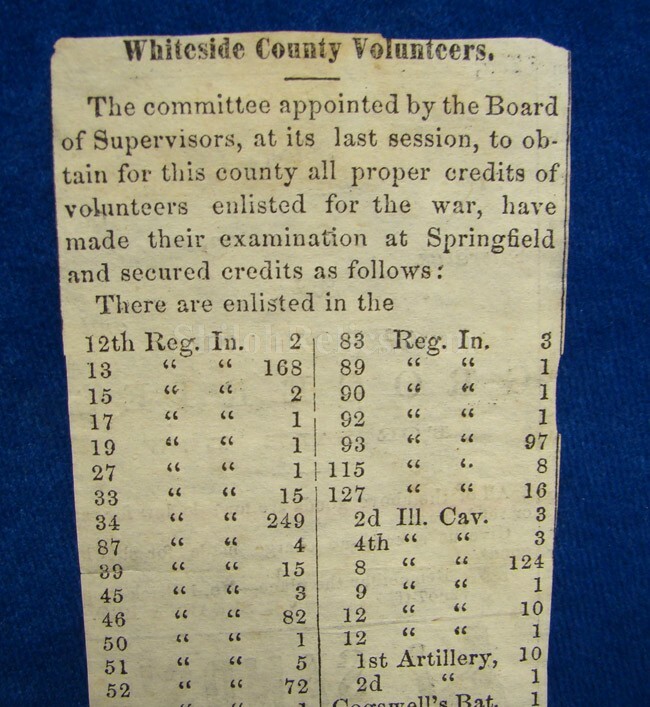 These 8 sheets of paper have listings of soldiers who enlisted from certain areas in Whiteside County. 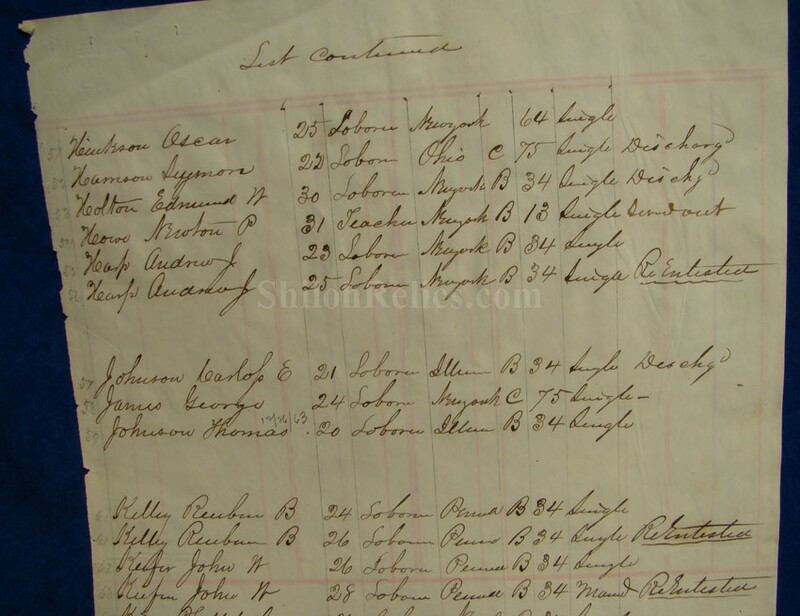 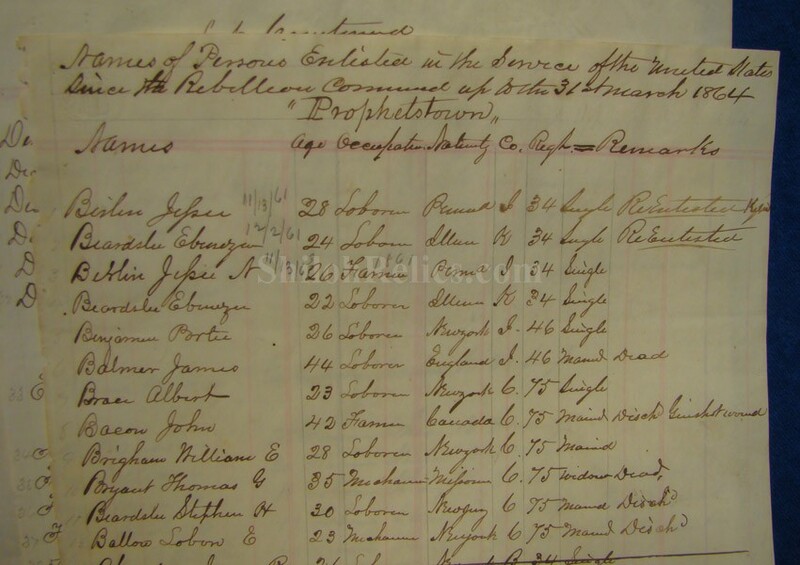 For instance there is one that reads across the top "names of Persons Enlisted in the Service of the United States since the Rebellion Commenced up to the 31st March 1864 Prophetstown". 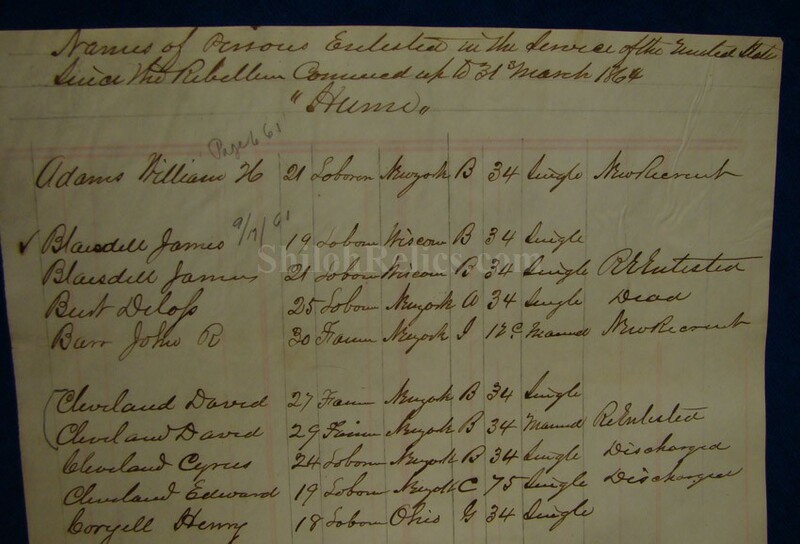 It states the soldier's name their age as well as their occupation where they were from and also who they enlisted with and on the right-hand side it has remarks of their status. 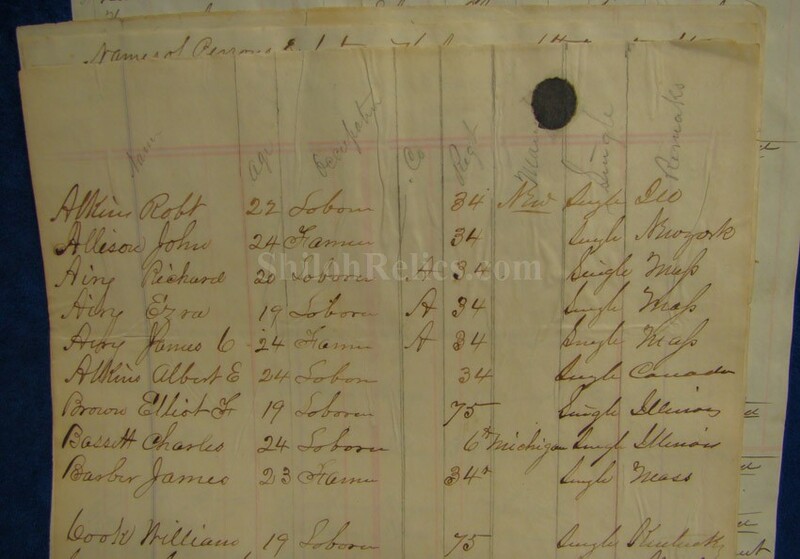 There are several marked as reenlisted with some being discharged or dead. 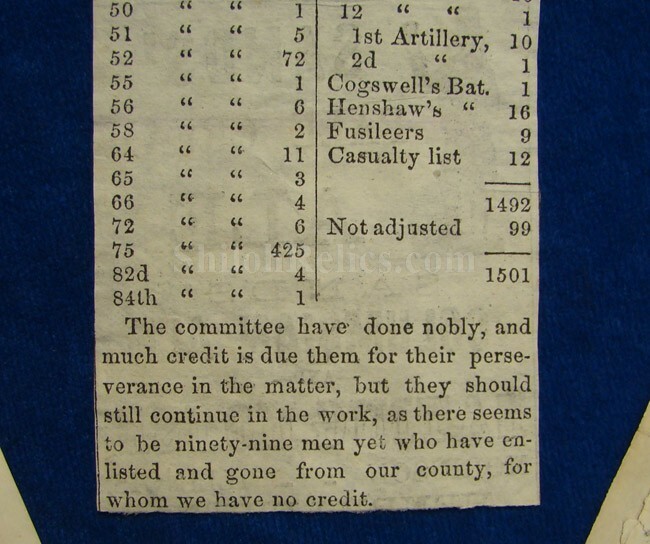 There is a small newspaper clipping that accompanies the documents that states that there were 1501 soldiers who have served from the county. 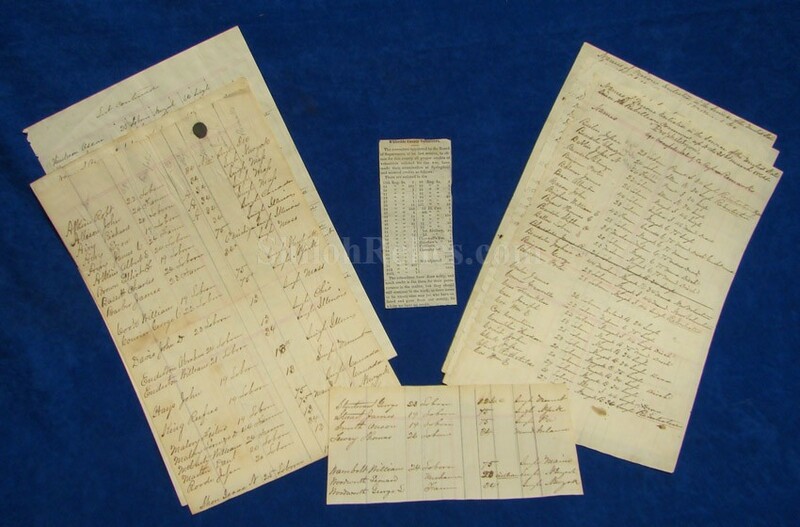 You get all of the 8 handwritten documents as well as the newspaper clipping. 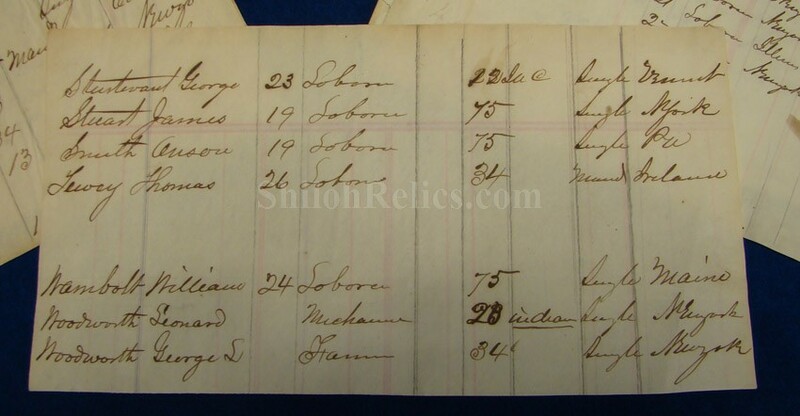 A wonderful archive from a proud Midwestern state.